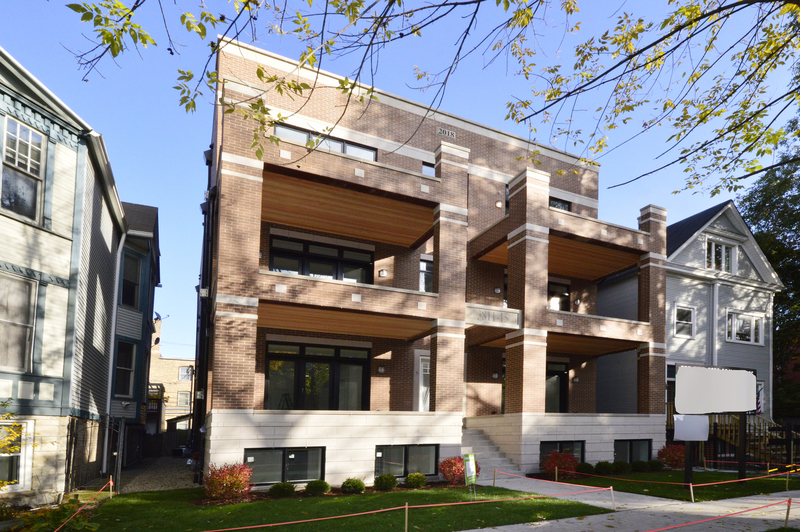 New Construction 6-Unit Bldg - Stylish transitional Luxury 2Br/2Bth + Bonus Room Penthouse in desirable Wrigleyville/Southport location on quiet residential street. Nicely appointed unit features 54" Custom Cabinetry, Quartz counters, upgraded appliance package with 36" Bosch Refrigerator, Wolf 30" gas range, Best Hoodfan, Bosch d/w and Danby wine/beverage cooler. Eat-in kitchen with large breakfast bar combined with LR/DR for Great Room concept with table space for dining area. HW floors throughout, tall ceilings, recessed lighting & wired for sound and smart home technology. Master Suite features spa caliber master bath w/Steam Shower, radiant floors & double bowl vanity, large bedroom & organized closet. Multiple outdoor areas with walkout terrace off the front, deck off the back & stairs within the unit to Bonus Room w/dry bar, that walks out onto private roofdeck over the Bldg. Garage parking is included. Priced to move and ready for immediate delivery!! Directions Sheffield to Byron, West to Kenmore, South to property. Property information last modified by seller on Sunday, February 24, 2019, 12:05 AM CST. Information Deemed Reliable But Not Guaranteed. Unauthorized duplication, use, or linkage is prohibited. The information on this web site is for personal, non-commercial use and may not be used for any purpose other than to identify prospective properties consumers may be interested in purchasing. Monthly Payment Calculator results are for illustrative purposes only, not a financing opportunity; calculations assume a 30-year fixed-rate mortgage and do not include closing and other costs. Property Tax on NEW properties is estimated at 1.5% of Listing Price for payment calculation purposes; actual value may be higher or lower.